The PRACTICAL GUIDELINES are out! 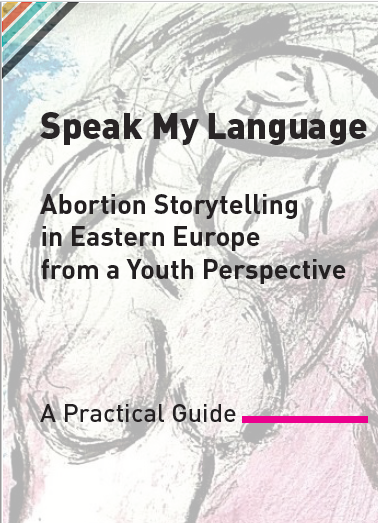 This practical guidelines document was created to complement the first toolkit, and as a resource which focuses on the practical aspects of developing and running a session on abortion stigma using the storytelling technique. Storytelling is not the only way to combat abortion stigma, but it is a powerful and necessary tool. We believe storytelling can be a form of activism, can contribute to research, can inform policies, and can benefit the person telling the story and others in similar situations. Storytelling can be used in a myriad of different ways, whether it is to raise awareness, to create a space for discussion and reflection, to provide new and diverse perspectives on a sensitive topic, or to challenge the abortion stigma that is still highly prevalent in today’s societies all over the world. While the first toolkit provided a more theoretical description of storytelling as a method to challenge abortion stigma and raise awareness, this practical guidelines document aims to provide detailed, practical steps to help organisations, individuals and professionals organize their own storytelling session. This resource will take you through 6 steps: Brainstorm & Research; Finding & Sharing Stories; Ensuring Safety; Running a Session; Support Provision; and Reporting, with the hope of providing you with the resources and tools necessary to run a successful storytelling session.